Let’s start this spring with iGuruFest! 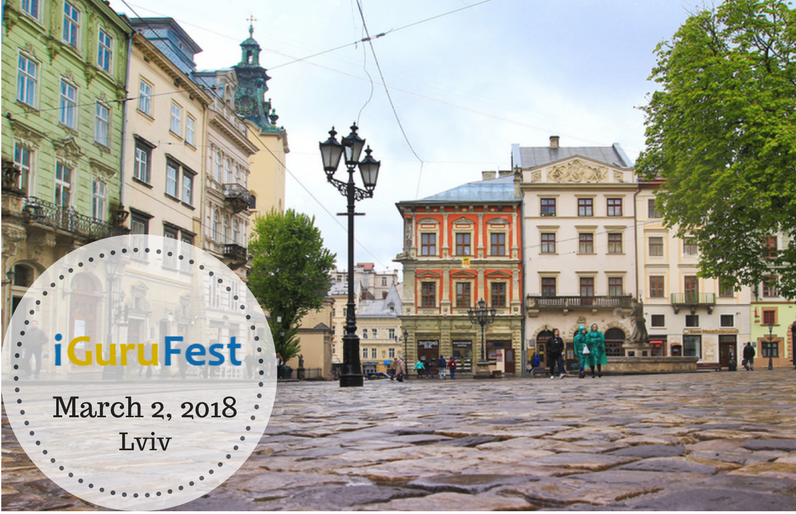 iGuruFest will be held on March 2, 2018, in Lviv, in the ultra-modern conference hall of the "Rius" hotel. The conference is devoted to traffic and its monetization. You will learn how to work with affiliate programs and earn traffic. The top speakers: Ilya Khanin, Anastasia Golub, Alexander Gnatenko, Ekaterina Zolotareva, Andrei Gusarov, Dmitry Petrenko and many others will participate in the conference. They will share their secrets and tell you what you will not learn elsewhere! iGuruFest doesn't only provide useful cases, but also active networking. You will have an opportunity to communicate with speakers in an informal environment and ask questions that interest you, as well as acquire new interesting acquaintances. For your convenience, we divided the conference into two streams: "Affiliate" and "Traffic". The "Traffic" stream was created in order to tell the audience how to increase the number of visitors/customers/customers. It will be useful for specialists in SMM, SEO, PPC, CPA, SERM. You can also check the program for more details.